Featuring 19 major habitats and 32 focus exhibits. Home to more than 11,000 ocean animals, representing nearly 500 species, the Aquarium celebrates the planet’s largest and most diverse body of water: the Pacific Ocean. 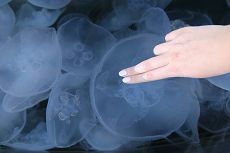 The Aquarium of the Pacific is a world-class aquarium, exploring the waters of Southern California and Baja, the Northern Pacific, and the Tropical Pacific. In addition to the three main galleries highlighting the major regions of the Pacific, the Aquarium features exhibits outdoors, including Shark Lagoon, the Lorikeet Forest aviary, and Our Water Future. Our special exhibits gallery features changing exhibits, and visitors can learn more about veterinary care at the Molina Animal Care Center. Meet our colony of Magellanic Penguins in the June Keyes Penguin Habitat, and engage with current science in the Ocean Science Center featuring NOAA’s Science on a Sphere®. 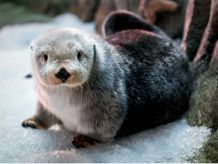 Connect with 20 years of wonder and memories at the Aquarium of Pacific. Learn about where our water comes from and what we can do to safeguard it now and tomorrow! Overlooking Rainbow Harbor with a view of Shoreline Village, this outdoor space features two popular exhibits: the Moon Jelly Touch Lab and an exhibit featuring two species of amphibious mudskippers. 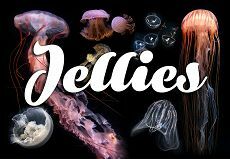 Come explore the intriguing world of sea jellies at the Aquarium. 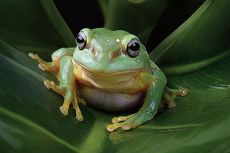 Find out the fascinating truth about these beautiful yet mysterious animals and their importance to our ocean planet. 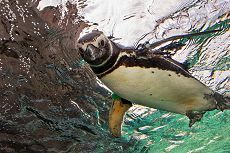 Get up-close with twenty Magellanic Penguins both above and below the water in the June Keyes Penguin Habitat. 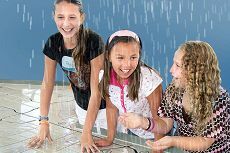 The Aquarium’s Ocean Science Center uses a Science on a Sphere® from the National Oceanic and Atmospheric Administration (NOAA) to explore our planet and tell stories about ocean phenomena and their impacts. This immersive exhibit communicates the history of local waterways and tells the story of the Southern California steelhead fish species and its importance in the local ecosystem. Shark Lagoon features more than 150 sharks, some of which you can touch … and some you can’t! This expansive outdoor exhibit is home to large sharks and rays, shark touch pools, interactive displays, an amphitheater, the Shark Shack gift store, and the Bamboo Bistro outdoor café. The 14,000-square-foot Molina Animal Care Center at the Aquarium of the Pacific provides enhanced healthcare to our animals as well as opportunities for our guests to view veterinary medicine in action. Located behind Shark Lagoon, the hospital features a 1,800 square-foot examination area. The building meets LEED Platinum standards, fulfilling the Aquarium’s commitment to environmentally sensitive building practices for all new structures. Extending 800 miles from Oregon to Mexico, California’s coastal waters include a variety of ecosystems, animals, and temperatures. Beyond the most southwestern point of the United States, extending along the coast of Mexico to the Sea of Cortez, is the Baja Peninsula. The Aquarium’s Northern Pacific Gallery represents the northernmost region of the Pacific Ocean, specifically habitats in and around the Bering Sea. The 16 exhibits in the Aquarium’s Tropical Pacific Gallery represent the beautiful marine life you would find off the coast of Palau. Imagine walking down a winding path lined with a waterfall and trees. You hear chirping overhead. 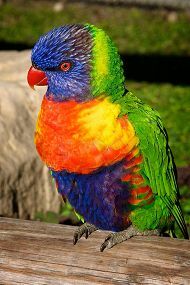 It grows louder and louder until you spot them—brilliantly colored lorikeets fill the air looking for a resting place. At last they find the perfect spot: your arm or even your head! Discover the sounds of humpback, sperm, gray, blue, beaked, and Northern right whales in this online version of the Aquarium of the Pacific’s exhibit Whales: Voices in the Sea. Listen to each whale call, watch videos on the whales, learn about conservation issues, and see interviews with scientists. Join our prestigious Pacific Circle Gift Society with a gift of $1,500, $2,500, $5,000 or more to receive exceptional benefits and access to the Aquarium. Interactively explore where each of our Magellanic Penguins came from while also learning about their individual personalities.